The 7 Best Hydrating Makeup Primers for Dry Skin | Top Beauty Blog in the Philippines covering Makeup Reviews, Swatches, Skincare and More! If dryness is one of your biggest skin concern and you're having a hard time finding the perfect primer that'll keep your skin hydrated underneath your makeup all throughout the day – here are some hydrating makeup primers you might want to try. Under(cover) Perfecting Coconut Face Primer brings the refreshing feel of coconut to your face while it perfects and extends makeup wear. With its hydrating, nutrient-rich formula, it is especially ideal for normal to dry skin types to create a smooth and improved skin surface before applying foundation. It’s enriched with concentrated coconut extracts that form a natural, vitamin-rich barrier between your skin and makeup. 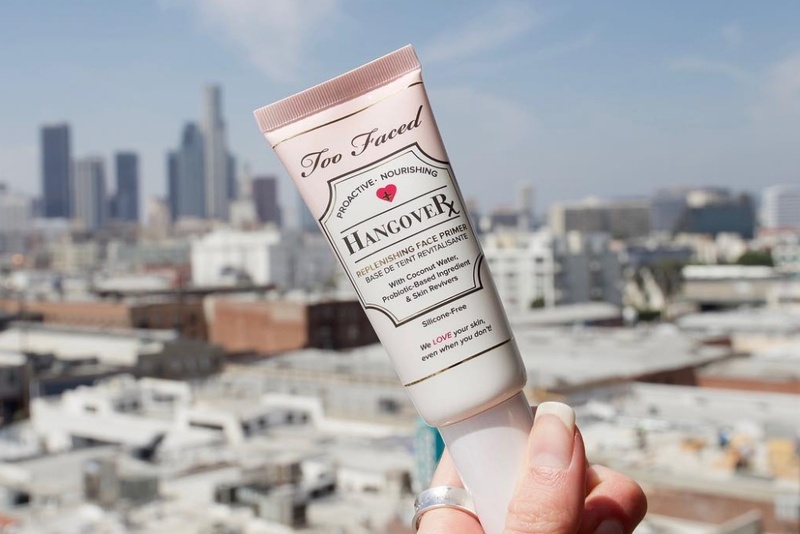 Cure your next beauty hangover with Hangover, a revolutionary makeup primer that's infused with coconut water, a probiotic-based ingredient, and skin revivers which work together to boost skin’s radiance, promote elasticity, and help hydrate while locking down makeup for fresher, longer, and more flawless wear. It can be worn alone for a dewy, healthy looking finish, or under bronzers, foundations, and powders to create the perfect canvas. Lock-It Hydrating Primer is an ultra-hydrating, water-based formula that preps your skin for perfect long-wear foundation application and comfortable all-day wear. Formulated with a lightweight, milky texture that feels weightless on the skin, it’s infused with nourishing ingredients. This primer features skin-smoothing oxygen-boosters to help long-wear foundations glide evenly onto skin for a poreless, soft finish. Fragrance free, colorless, and supremely hydrating, it’s ideal for dry, sensitive skin types. Quench dehydrated skin and lock in your makeup looks for hours with Photo Finish Hydrating Foundation Primer. Lightweight and oil-free, it leaves a flawless canvas for foundation application. It’s formulated with hydraplex, an extract from desert plants that helps your skin retain moisture for hours. text. I currently use the smashbox one and love it! It's so good. super cool selection my dear. This is super interesting. I have this product in a travel size. I must try it. I so badly want to try the Too Faced one.